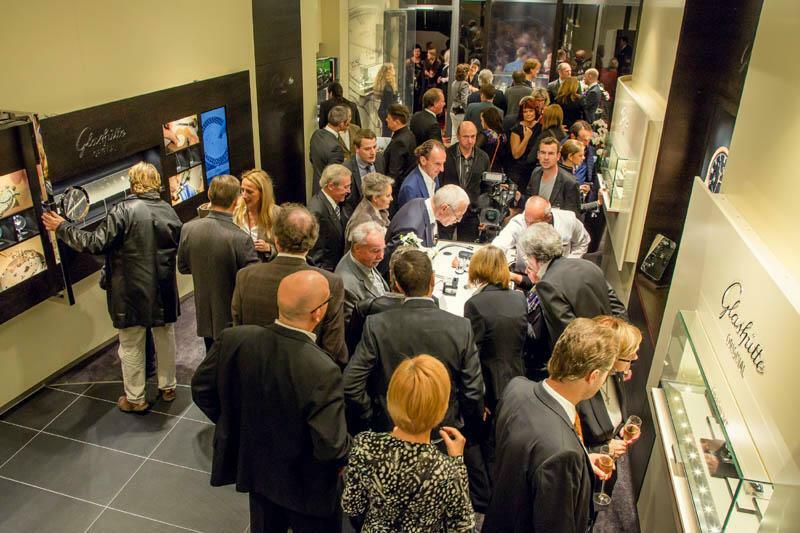 On Wednesday, October 24, 2012, the German maker of luxury watches Glashütte Original opened its first boutique in Germany. 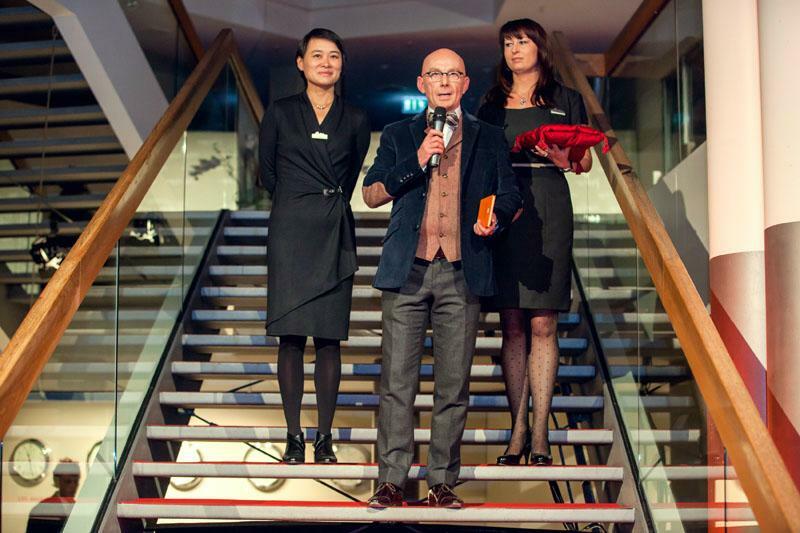 More than 100 guests accepted the invitation from Lothar Schlichting, brand manager for Germany, and Sebastian Prinz, manager of the new boutique, to be among the first visitors to see the brand's new Dresden venue. 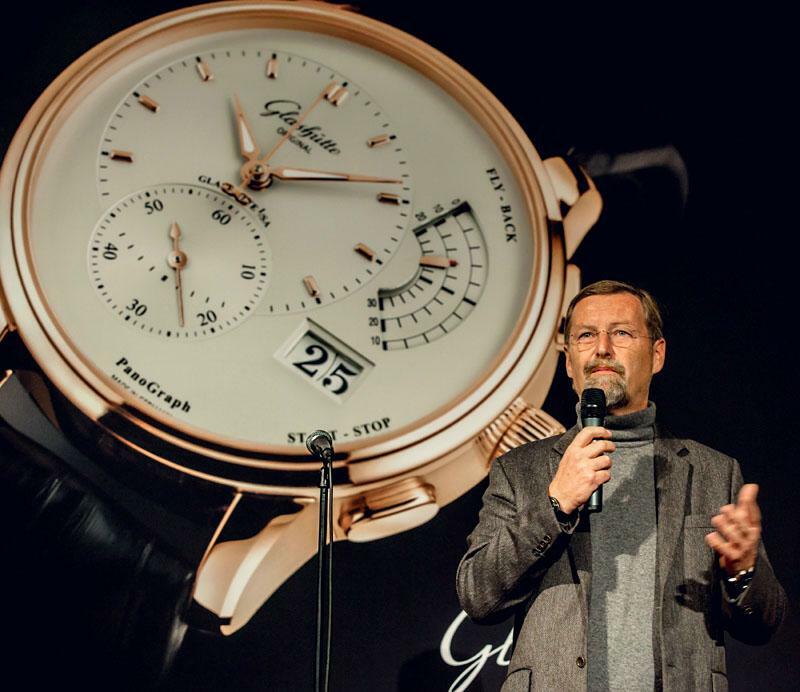 Celebrating this latest important milestone for Glashütte Original together with managing director Yann Gamard and vice president of sales Dieter Pachner were many guests from politics and business, friends of the company, representatives from local and trade press and media as well as business partners and customers. Among honoured guests at the opening were Ms. Andrea Dombois, vice president of the Saxon state assembly, and Dirk Hilbert, the mayor of the City of Dresden.In her comments to the assembled guests, Ms. Dombois, who maintains close ties with the Region and City of Glashütte, highlighted the achievements of the Manufactory in the last two decades along with its continuing steady growth. 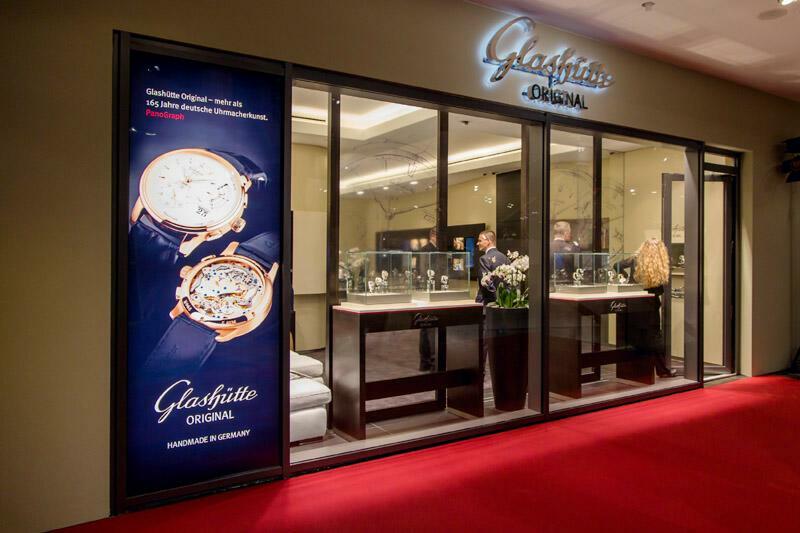 The Glashütte Original success story was good news not just for watch connoisseurs round the world, but also benefited the cities of Glashütte and Dresden through creation of new, high-value jobs. 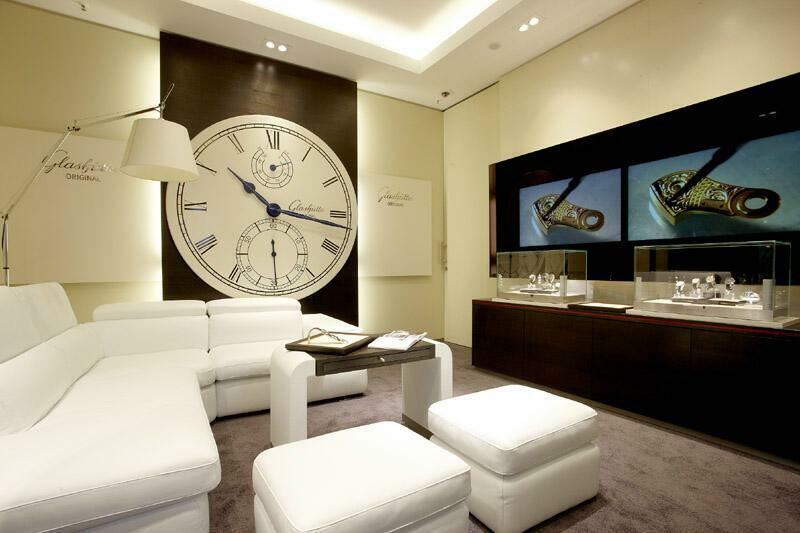 The opening of a modern flagship boutique in the heart of the Saxon capitalwould attract not only those interested in watches; the boutique would alsoprove a remarkable attraction for visitors to Dresden in general, who would beable to observe German perfection and Saxon craftsmanship at close range. 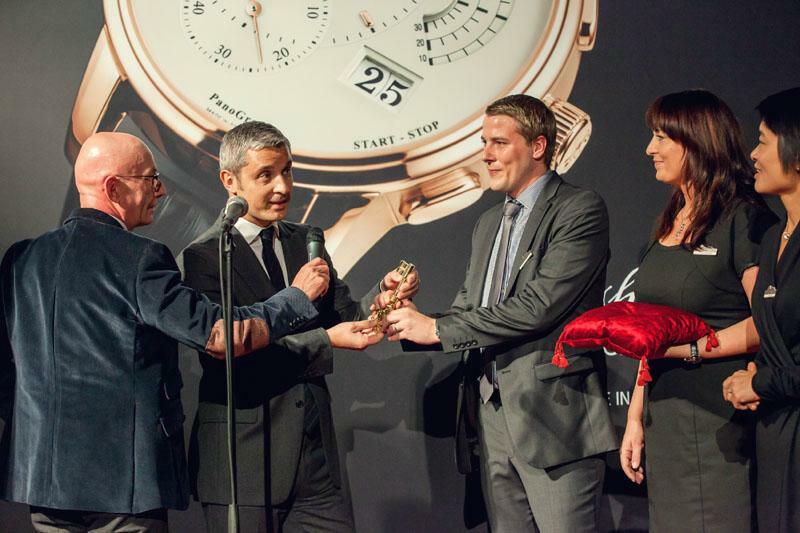 Following the heartfelt comments by Ms. Dombois, the opening ceremonyitself began; Yann Gamard thanked all of the Glashütte Original employeesfor their efforts and introduced Dieter Pachner, who took great pleasure in presenting a symbolic golden key to the new boutique's manager. 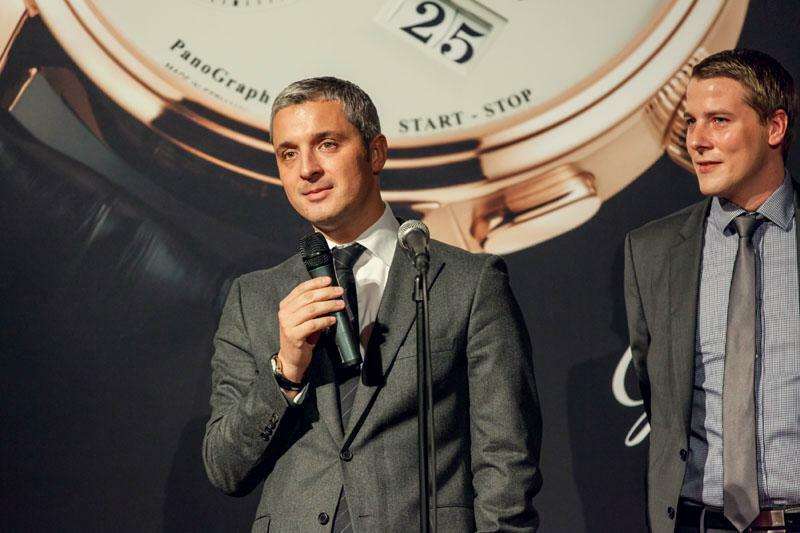 Sebastian Prinz, an experienced watch salesman and head of the three-person team, was clearly moved as he accepted, with thanks, the key and best wishes from his colleagues. 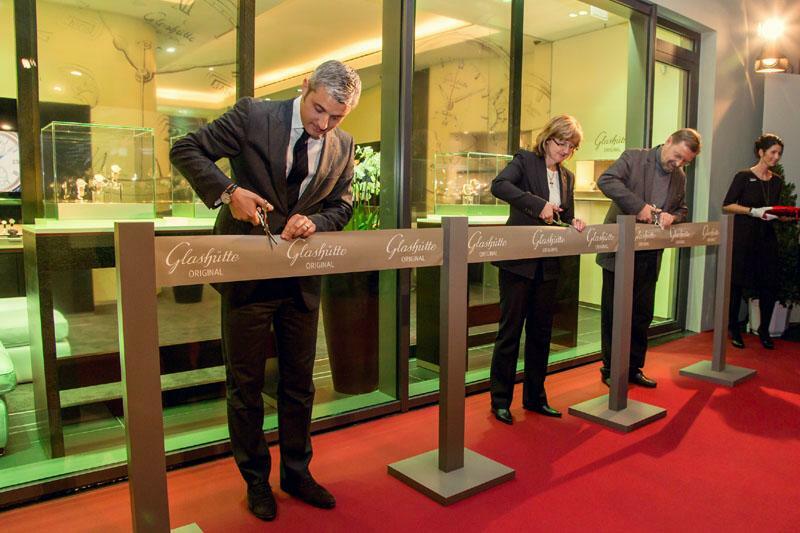 Dieter Pachner, Andrea Dombois and Yann Gamard then stepped forward to cutthe silk ribbon separating them from their guests, and declared the boutiqueofficially open. 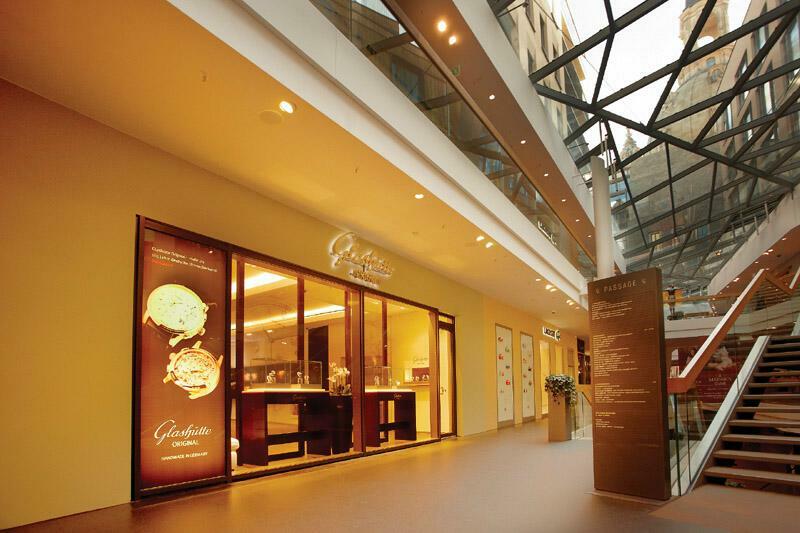 Following an extensive search for the optimal location, the company chosethe QF Passage in the heart of Dresden. 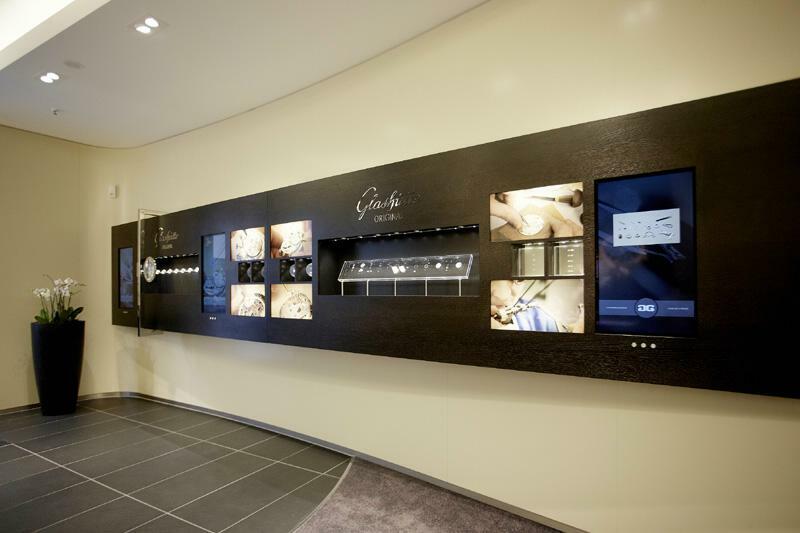 The new 100 square meter boutique, the first in Germany to implement the renowned brand's current boutique concept, welcomes visitors in a unique way, inviting them to discover the art of watchmaking from Glashütte through a multimedia approach. The atmosphere of the new shop in the Töpferstraße 4 is purposefully transparent and welcoming. Glass walls on two sides offer visitors a clear view of the interior, and shoppers may also enter from both sides of the boutique. The signature look of the new salesroom presents the German Manufactory's values: technical perfection, modern design and timeless elegance. Carefully chosen materials, an assured and stylish interior and the clearly contemporary concept render the Saxon watch brand's essential features both visible and tangible. The design of the boutique is clearly minimalist and its combination of dark moor oak, beige enamel surfaces and light-coloured leather creates a comfortable and inviting atmosphere. The interior's soft, flowing forms enclose the space within a perfect frame. 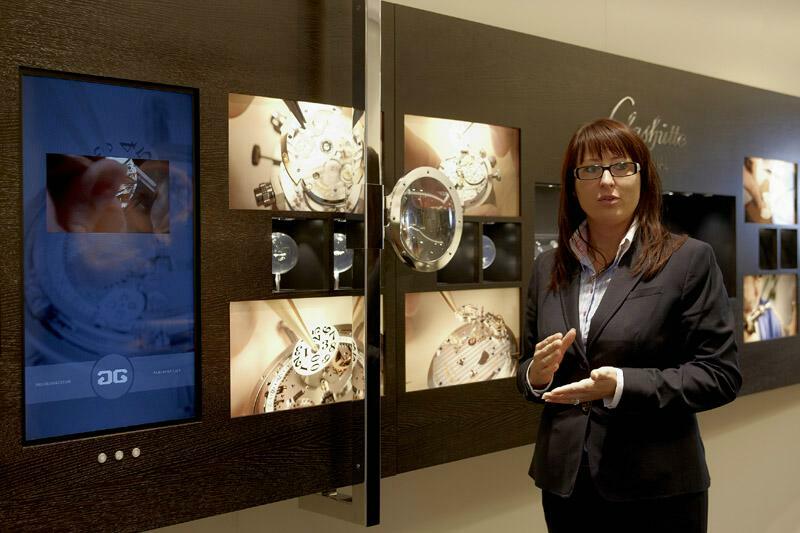 The new space in Dresden resembles an interactive exhibition of the art of German watchmaking more than it does a traditional boutique.Given its proximity to company headquarters in Glashütte, the concept placed particular emphasis on the presentation surfaces. The "handmade in Germany" quality so evident in the Manufactory had to be equally apparent to boutique visitors in Dresden. This led to the construction, exclusively for the Töpferstraße venue in Dresden, of a special "Manufactory Wall". A large magnifying glass gives visitors an opportunity to admire, in the formof fascinating watches from the smallest of watch components to simplesub-assemblies the Saxon watchmaker's milestones. All questions from boutique visitors are handled by a competent andmultilingual team. To ensure that customers are offered optimal service, team members attendeda training course lasting several weeks at the Manufactory in Glashütte.In future a watchmaker will join them at the boutique, further enhancing serviceby handling matters involving warrantees, maintenance and repair.